Scared of something? 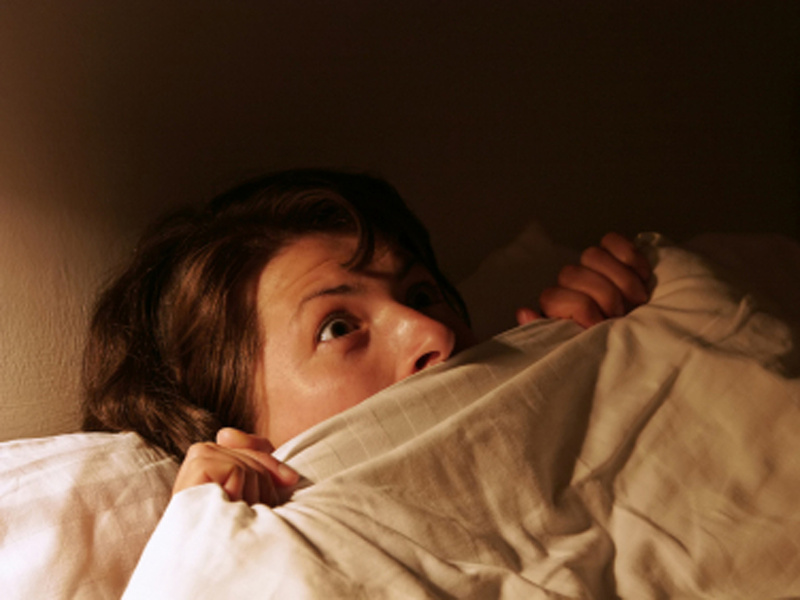 Facing your fears during sleep may help. A new study published Sept. 22 in Nature Neuroscience reveals that repeatedly exposing people to elements linked to things they are afraid of while they were deep in sleep helped them get over what was scaring them. "It's a novel finding," study author Katherina Hauner, a postdoctoral fellow in neurology at Northwestern University Feinberg School of Medicine, said in a press release. "We showed a small but significant decrease in fear. If it can be extended to pre-existing fear, the bigger picture is that, perhaps, the treatment of phobias can be enhanced during sleep." For the study, researchers created fears in 15 human subjects by delivering them mild electric shocks and pumping a specific odor when they saw images of two different faces. Each person got a different scent for each of the two faces, which including woody, clove, new sneaker, lemon or mint odors. Then, when the subject was asleep, the researchers wafted a specific scent associated with one of the faces into the room. The smells were delivered during the slow-wave sleep period, when memory consolidation is believed to take place. When the subjects were awake, they were told to look at the two faces again, and their fear response was recorded through a device that measured small amounts of sweat in the skin. They also had images of their brains recorded with functional magnetic resonance imaging (fMRI). Researchers specifically looked for changes in the areas of the brain associated with memory. The subjects had a lower fear reaction -- meaning less sweat and activity in the memory areas -- when they saw the face linked to the odor they had been exposed to while sleeping, compared to when they saw the face with the smell that they were not exposed to while at rest. Exposure therapy consists of intentionally exposing someone to the fear-inducing trigger. With the aid of a therapist, patients can learn to lessen their fear responses as they are exposed to what terrifies them. However, sometimes exposure therapy is too much for some patients, and they simply can't face what they are afraid of. But using this new sleep method, these patients may be able to face their fears subconsciously. They might be able to learn how to deal with what they are afraid of before facing the real thing, leading to less stress and mental anguish. "It's fascinating, and very promising," Daniela Schiller, a neuroscientist at Mount Sinai School of Medicine in New York who was not involved in the study, said to Nature. "We used to think you need awareness and conscious understanding of your emotional responses in order to change them." Dr. Daniel Bendor, a lecturer with the division of psychology and language sciences at the University of London, told the New Scientist that he too found the study promising. "Extremely fearful experiences can lead to post-traumatic stress disorder, and this technique of cue-based extinction during sleep could eventually lead to a potential therapy," Bendor, who was not involved in the study, said.